We’ve had our eye on CalStar, a manufacturer of fly ash brick and fly ash paver masonry, for a long time. 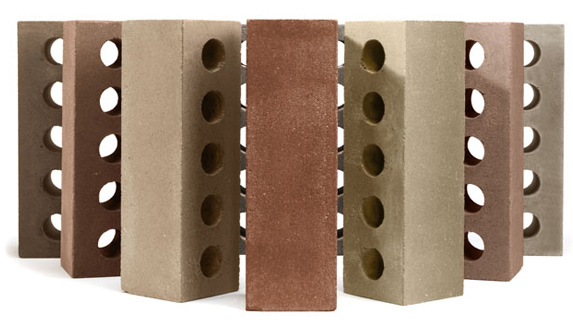 The startup, which was featured at this year’s West Coast Green Innovation Pipeline, is a triple threat: It generates 85% less CO2 than traditional manufacturers of clay bricks and pavers; it uses 85% less energy; and bricks contain 40% post-industrial recycled content. And now CalStar’s bricks have made it into production, starting with a brick building in Tallahassee, Florida. CalStar’s products are made almost entirely out of fly ash (a residue generated in combustion), fine aggregates, and water. When production ramps up, the company expects to use millions of tons of fly ash each year–much of which would otherwise end up in landfills. Calstar’s bricks and pavers are competitive in price to standard products. And according to Karen Righthand, Calstar’s Director of Marketing, masons love the fly ash products. “One mason said, ‘It’s the perfect brick. It’s easy to cut, and lays in a straight line,&apos;” she explains. Next up for CalStar: more pilot projects and bringing the bricks and pavers into commercial production. With little downside for customers, we don’t imagine that CalStar will encounter much resistance.